It’s easy to judge a book by its title. This one is “How to Be a Better Birder.” Not how to “Become,” but how to “Be.” Me, I’m always “becoming,” but I must admit that I have not yet arrived. I’d be too embarrassed to tell you my worst stories, but here are a couple that are not near as bad as those. Before leading a Saturday morning bird walk at Rio Grande Nature Center in Albuquerque, I scouted out the area adjacent to the starting point. In a Cottonwood conveniently situated near the entrance trail I found a Greater Roadrunner moving about high in the branches, probably searching for a meal of hummingbird eggs or Mourning Dove nestlings. About 15 minutes later, as I led my charges along the path, I casually looked up at a brown blob moving between the green leaves and began to expound on the interesting behavior of the roadrunner. Well, one of the young participants pointed out that I was looking at a squirrel! The first chapter of Lovitch’s book is subtitled “The ‘Whole Bird and More’ Approach.” Ho hum– Oh yes, I’ve heard this so many times, but what’s that about “More?” Maybe my approach requires fine tuning. While walking a trail in the wetlands near my new home in south Florida, I spotted a bird soaring quite high in the sky. Easy call. Flying Bird → Hawk → Buteo → red tail → ? Duh, stop here, take its picture and move on to the next bird. If I had applied some of the “More” that is packed into this compact handbook I would have noted that, in addition to its somewhat smaller size, this hawk presented a more graceful silhouette, and shorter pointed wings with comma-shaped light areas just inside their black tips. It wheeled in tighter circles, lacked dark patagial marks and had no belly band. The red in its tail was caused by diffusion of sunlight from above, not the red pigment of a Red-tailed Hawk. It was the first light morph Short-tailed Hawk I had ever seen, and I did not identify it until I looked at my photos on the computer screen back home. 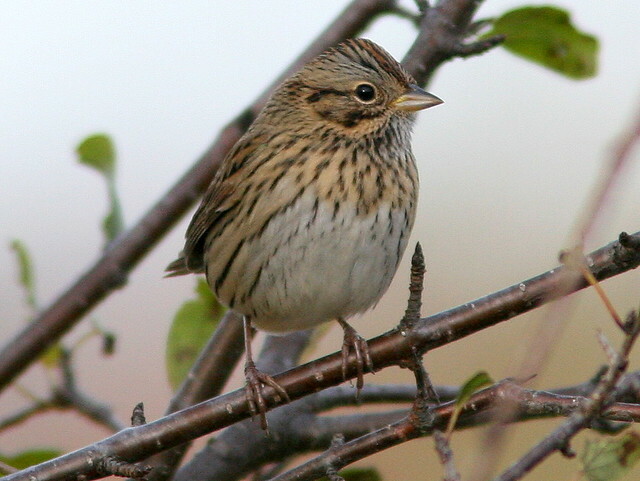 …and of course, the Savannah Sparrow. 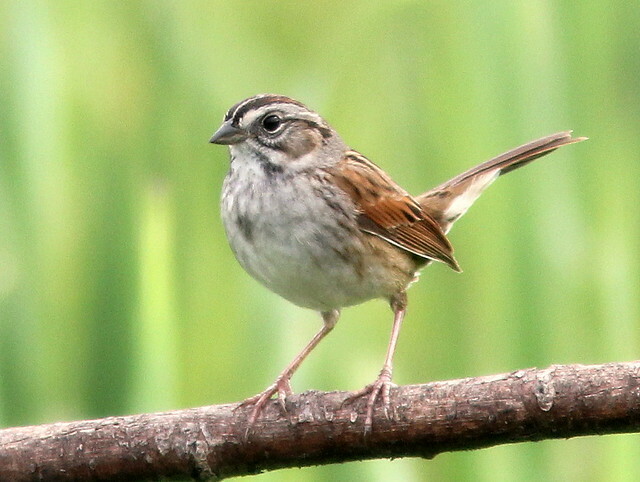 Sure, we all know not to look for Sage Sparrows in a swamp, but Lovitch goes beyond the basics and challenges us to learn more about vegetation types and micro-habitats. Know the plants and you will know which birds are looking for food and shelter there. My aging brain simply does not retain all the names of the various grasses, shrubs and trees (and this is also true for butterflies, dragonflies and other insects, not to mention the last ten people who were introduced to me at a party), but it is nice renewing my acquaintance with the same ones over and over again! The book addresses the importance of geography in the movement of migrating birds and predicting where they may concentrate in various seasons and weather conditions. Lovitch explains the importance of weather-related “overshoots.” On a macro scale, migrants may end up far out of their normal range because of such factors as faulty navigation, hurricanes or weather systems. Locally, overshoots occur most often over water, when migrating land birds must reverse course to seek the safety of the shoreline. I found the chapter on “Birding by Night” to be captivating, as I read it when spring migration was at a peak. This is not only about listening to chirps in the night and watching the moon. It contains detailed instructions for constructing your own personal radar display to capture and interpret images from the previous night. “Birding With a Purpose” emphasizes the importance of contributing to the greater fund of birding knowledge, whether through individual record-keeping and reporting on e-Bird and RBAs, participating in organized counts, census and banding activities, or even seeking volunteer opportunities or employment in scientific research endeavors. As is the case in earlier chapters, the book provides a wealth of pertinent references. After a discussion of vagrants, Lovitch presents “A New Jersey Case Study,” which details the successes and failures of his birding trip to Cape May. He applies some of the concepts set out in his book, particularly relating to the ability to predict where the birds might show up under sometimes challenging weather conditions. Finally, he extolls the benefits and joys of patch birding, or more properly, “Patch Listing,” strengthening my resolve to be more of a lister. It is so easy to neglect the value of properly recording the arrival, ebb and flow of species in a familiar spot. I resolve to improve in this aspect of my “Becoming” a better birder, even though I may never “Be” one. Disclaimer: Princeton University Press supplied me with a review copy of this book. July 3rd, 2012 at 1:49 pm What a great post!! I’m going to have to look at that book. Boom & Gary of the Vermilon River, Canada. July 3rd, 2012 at 2:12 pm Great photos - as usual! - and it sounds like an interesting book. July 3rd, 2012 at 2:45 pm Some really fantastic birds there. 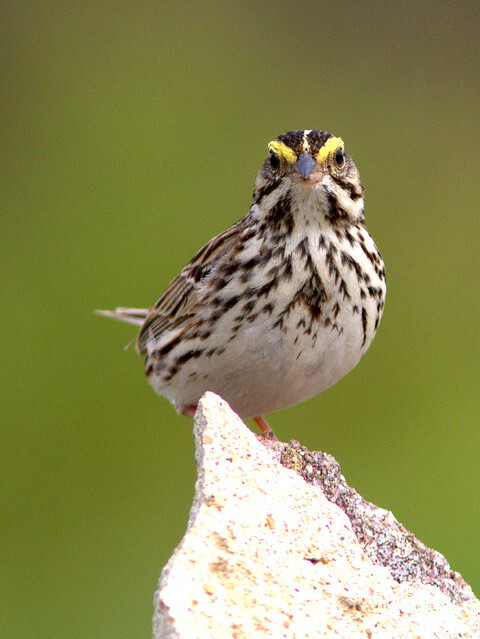 I love the Savannah Sparrow. 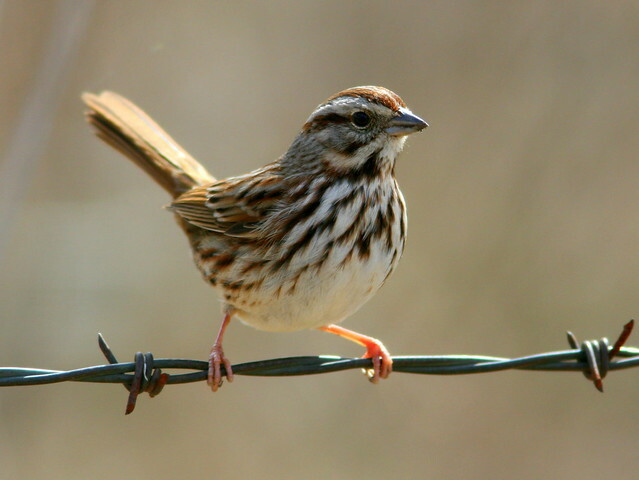 July 3rd, 2012 at 2:59 pm I’m really loving your photograph of the song-sparrow! Isn’t that the greatest, ‘discovering’ when you open up your pics on the computer?! July 3rd, 2012 at 3:46 pm Great collection of Sparrows, Ken! They are one of the hardest species for me to id. Your photos are awesome as usual. Have a happy 4th of July! July 4th, 2012 at 7:39 am Fantastic review, Ken! Your photos are amazing….I learned so much. No longer can I id sparrows by chest spots….lol But I don’t feel too bad if you did the same…as you are the best birder I know Ken. July 4th, 2012 at 9:26 am Love your stories. 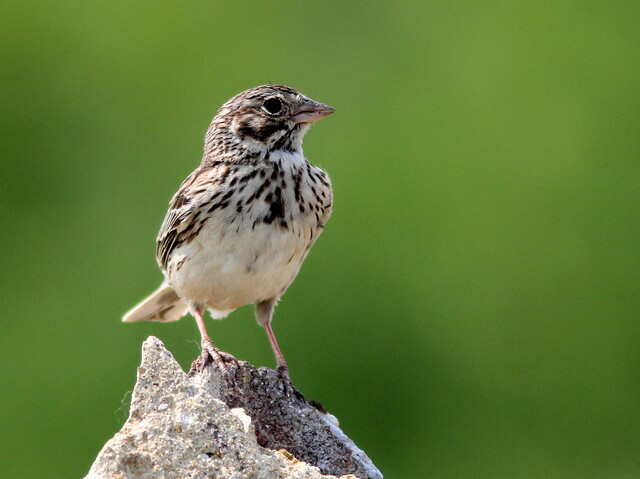 Great photos of the often misidentified sparrows. July 8th, 2012 at 11:18 am Thank you all, for your encouraging comments. I especially like photographing sparrows, not only for the challenge, but to enjoy their subtle beauty.